WEATHER: Perfect. The corps beat the heat to the Burgh by one day, and yet it wasn't raining as it has been for seemingly the last month. FACILITY: Tiger Stadium of the Moon Twp. School District. Positive: we weren't staring into the sun for the first half of the show, as we would have been at Gateway High. Negative: There was ONE WAY into the stands - very narrow one-to-two person wide area to walk. Artificial turf. CROWD: Huge walkup. Big. Into it. PIONEER (Celtic Dragons) - I note the higher demand placed on the hornline, and its positive execution, especially when they are standing still (but that's every hornline, right?). Some shaky tones when marching, but not unexpected. I am always struck by the intensity of the members in the smaller corps, just as much as in the bigger corps. Saw this not only on the field but in the warmup watching the cymbal line. My daughter didn't like the props because they didn't seem to be there for any purpose. Backdrop props are unhelpful for her. SPIRIT OF ATLANTA (Knock!) - I enjoyed the 'now you see them, now you don't' effects the doors were able to provide. I am pretty sure I liked how they hid the hornline behind them for the 'ballad' (we need another word for 'ballad' in drum corps, any suggestions?) I'm not sure how putting the tenor feature in the opener behind them works, but my seats were not on the 50 - maybe you could see them better from there. But why I am I being pedantic? What a great hornline - my only complaint is that yes, I can hear that sound coming through the speakers, and it introduces the tiniest bit of doubt in my brain. But just an aggressive all around corps, with FUN and STYLE! Also - amazing soloists! LOVED the flugel/euphonium duet! The crowd reaction was loud and happy. This corps COMMUNICATES with the audience. One caveat to tonight's scores: there were no 'performance' judges this evening. I had Madison up over Spirit in execution. The question is going to be how the corps does compared to others in its group when those judges are in. Can they match their enthusiasm with precision? Or will cleaning and focusing on precision hamper the kind of 'spirit'ed performing we saw tonight? Let the puns march on - Spirit is knocking on the door of Finals. MADISON SCOUTS (Heart and Soul) - I've had a night to sleep on it. The corps seemed very tight. It's very possible that the corps simply had an off night, but it is also true that the structural problems are for real. I felt like I was in health class for the first part of the show. The transitions are not the best. I personally liked the heart backdrop, and the uniforms make much more sense from afar than close up. The guest performer is a wonderfully talented player AND performer. There are those good moments when I hear a Madison hornline and drumline, and as I mentioned, I thought that the performance captions could have made a difference in the scoring. But I could be wrong, especially in the visual area, where there is much work to be done. What I hope for the corps is that the performers get to the point where they are able to communicate with the audience and win their 'hearts and souls' (I did it again). THE CADETS (The Unity Project) - It would be foolish of me to say that my response to the show isn't affected by my immersing myself in the story of the past few months for The Cadets. Maybe I'm just projecting my own secondhand emotions onto what is by any evaluation an extremely well-performed show that really does have a lot of potential for all-season growth. Their use of vocals this year is stunning and you need vocals for this show. The electronics are not overdone. They MOVE out there! I think the uniform works for them, especially, as was mentioned by @Ediker, the contrast between the front and back of the uniform which really pops in the visual. The ballad got to me: I closed my eyes during the last chord just to hear it better; and I loved Ballet Sacra so much - was punching the air with every accent. The 2018 Cadets show is free of artifice. It has an undefinable, timeless quality in that the questions for this year's corps are not quantifiable and time-bound - 'Will we win this year? Will we medal?' The questions are far more existential - 'Will we BE? Who do we choose to be? Who are we?' and the like. The answer was on the field last night. Let next year be about winning. This year is about being. 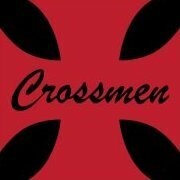 BOSTON CRUSADERS (S.O.S.) - Last year was no flash in the pan. This corps was on fire (groan) last night! BAC is competent and confident and you can tell - the execution of the show was tremendous for this point in the year. Castaways never had so much fun! Fire got a big reaction. I personally love the 'I've got the Conch' reference to Lord of the Flies. The 'Salvation Is Created' section probably isn't how Tschesnokoff imagined it, but it works very well. I think that Amazing Grace, however, should be played by an instrument, as it is one of those pieces that is so familiar to most that it doesn't need the lyric. I haven't seen Cavies for a few days, but I think this corps can and should contend for fifth. BLUECOATS (Session 44) - After four years exploring mainly electronic textures, it was time for the Bluecoats to go in another direction, and they did. This is like a great rock band coming out with a new album. Or should I say a great jazz combo? I told my aspiring vocal major daughter that the singer was only eighteen and her jaw dropped open. An absolutely amazing performance from her. In future competition, much will depend on whether Bluecoats can execute a very difficult opener with panache and swagger. The opener was the only time that I could say, 'Yeah, it's still June.' It's out there musically enough that they are going to have to do it and make it look easy in order to be able to communicate with the audience at the same level as the rest of the show. There's not much else to say but BLOOOOOOOOOO!!!!! Gave me chills to read this section!